The Adirondacks are home to many beautiful animals, but there are some that pose threats when one comes in close proximity to these creatures. Learn more about dangerous animals in the Adirondacks and how to prepare yourself if the situation occurs where you come in contact with one of these potentially harmful animals. Many people are alarmed to hear the word "bear," but black bears in the Adirondacks are actually quite shy and pose little threat when left alone. However, there are many good tips to be aware of to ensure that you do not come in close proximity to these majestic yet powerful creatures. What Do I Do If I Come In Contact With A Bear? Black bears react aggresively if they feel threatened, so you should never approach, surround, or corner a bear, especially if a cub is nearby. Don't run from a black bear. Slowly back away and leave the area if one is close to you. Avoid throwing your backpack or food at an approaching bear. If you think a bear is close to your campsite, yell, clap, or bang pots together to scare it away. If you notice a bear on your lawn, make loud noises from a safe distance to scare it away. Then, make sure any bear attractants are removed, such as garage or bird food. 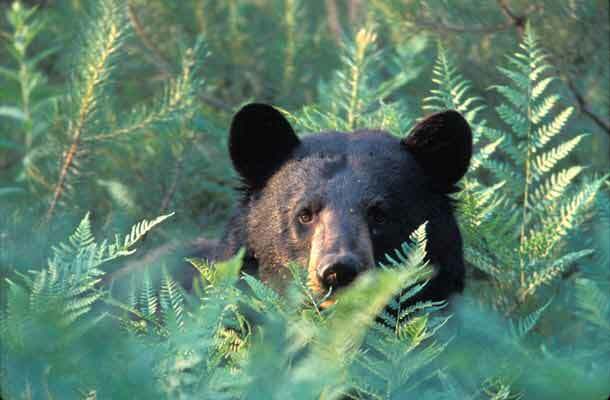 If there's a black bear in your house or building, make sure the bear has an escape route so it can leave on its own. Also, don't lock the bear in a room or close doors as you move away from it. Remove bird feeders and suet if you believe black bears are in the area. Keep your pet food indoors. Store your garbage cans and grills in a secure location. Locks on garbage can lids and electric fencing will deter black bears. Put your garbage cans out for pick-up the day-of and not days before. Keep your gardens and lawn free of waste and other garbage. For compost, don't put meats or sweets in it. Also, keep your composts, gardens, and fruit trees at least 50 yards from nearby forest tree lines. 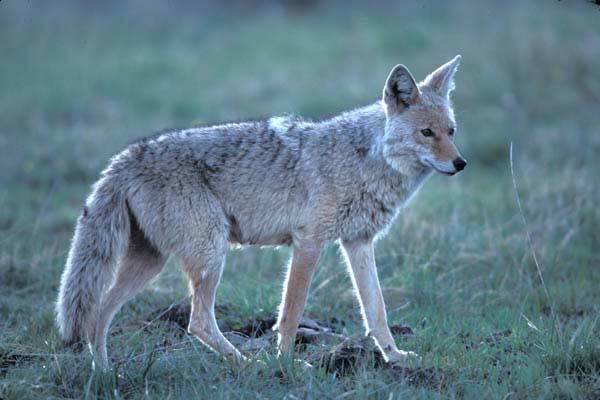 Eastern coyotes are found within the Adirondack region, and look similar to a small German Shepherd. Coyotes are actually quite fearful of humans. Pets and young children are more likely at risk of a coyote attack. Remove potential food sources from your yard - ex. garbage, bird seed, pet food, etc. What Do I Do If I Come In Contact With A Coyote? Bobcats are about twice the size of a domestic cat, and are often confused with a Canada lynx. Canada lynx, however, are larger than bobcats and have oversized paws and a black-tipped tail. Bobcats very rarely attack humans - if a bobcat approaches or attempt to attack a human, it most likely is sick or rabid. If, however, you are in contact with a bobcat, we have some tips to keep you and your loved ones safe. What Do I Do If I Encounter a Bobcat? 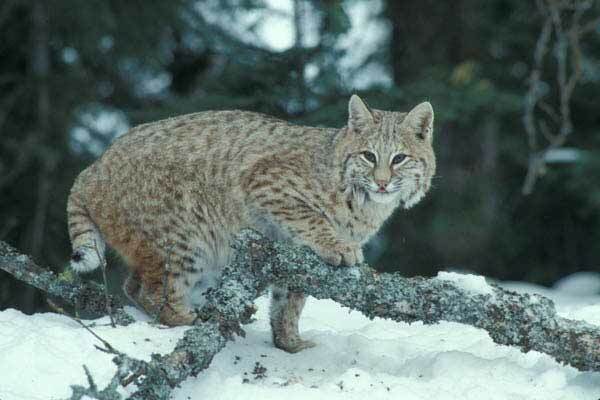 Note: If you see a bobcat around a populated area, please contact your animal control authorities. The Timber Rattlesnake is a common snake found in the Adirondacks. They are the largest venomous snake in New York, and measure from 3 to 4.5 feet or more in length. The Timber Rattlesnake has its distinct rattle, which when vibrated, makes a buzzing sound characteristic of a disturbed rattlesnake. Timber Rattlesnakes are active from late April to mid-October, but may not emerge in northern NY until mid-May. Once they leave their den, they tend to be very lethargic. Timber Rattlesnakes have venom that is primarily used to immobilize their prey, and can be fatal to humans if the bite is untreated. However, there have been no records of human deaths from rattlesnakes in the wild during the last several decades in New York State. While rattlesnakes are generally not aggressive, they can strike when threatened or provoked. What Do I Do If I Encounter a Rattlesnake? If you are bit by a rattlesnake: stay calm, call 911, wash the bite with soap and water if available, immobilize the area, and keep the bite below your heart if possible. 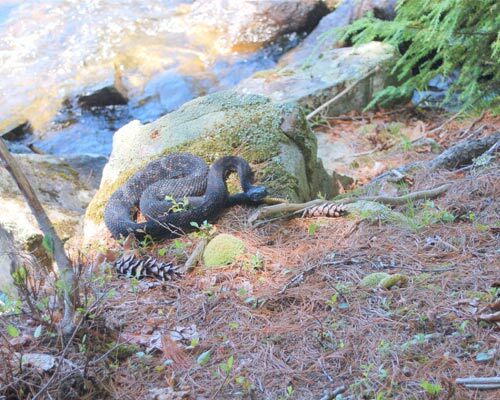 Tip: Never grab "sticks" or "branches" when swimming in lakes or rivers as rattlesnakes can swim!